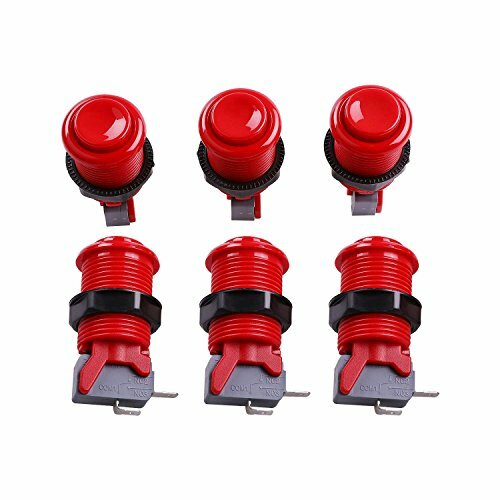 This Happ Type Ultimate arcade button is ideal for arcade machine and JAMMA machine projects. This is a standard 30mm button that will fit in a 28mm mounting hole. It features a concave plunger and includes fixing ring and microswitch.